I was super excited to try new tanning brand Isle of Paradise, created by celebrity tanning expert Jules Von Hep. Having seen the gorgeous products all over Instagram when the line launched, I was intrigued immediately by the modern packaging , the idea of a self tanning ‘water’ and its colour correcting technology, and the fact that it’s cruetly free, vegan and organic too. I watched some reviews on YouTube and discovered that most people were loving this ‘revolutionary’ new fake tan. So, to get on to my own experience with Isle of Paradise – it wasn’t amazing, but it wasn’t disastrous either. I stuck to the medium shade as I find it’s usually best suited to my own skin tone, and I’ve broken down this tried and tested post into a sub-review of each product. I tried the Self-Tanning Water first because I was most excited about it. The final colour was really good – as natural as a fake tan can look, it had a golden glow that seemed to suit me (must be that colour corrector working), so as far as colour goes it’s all the things you want from a fake tan. However, it was patchy and very dark around my ankles, feet, and wrists – obviously, my application was to blame. I did exfoliate the day before, I moisturised, I went easy on the areas such as ankles, and I followed the instructions on how to apply (saturate the skin all over and massage into skin using circular motions). Although I spent more time than I usually do applying my fake tan, I obviously didn’t pay enough attention to this process because it was definitely not a flawless finish. I found it really hard without the colour guide, simply relying on the feeling and wet look of the skin which clearly wasn’t enough. I was also concerned about spraying my bathroom in fake tan because you really do have to spray a lot and you can’t see it! The water spray is a fussy product that I’m not confident enough to use without a colour guide, nor do I have the time to spend on perfecting the application. Which is a shame because where the colour was applied well it was actually really good, and it lasted really, really well. Overall, my high hopes for Isle of Paradise were left quite deflated. 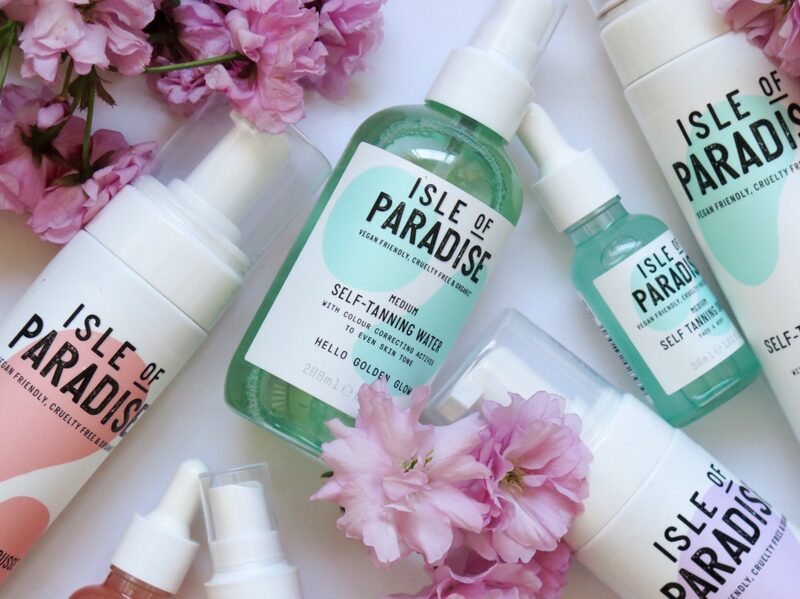 I’m not someone who has a lot of time or energy for applying fake tan (I do it once a week, sometimes only on my legs) and sadly Isle of Paradise needs a bit of investment in both time and energy for best results. I’m actually quite disappointed as I really wanted to find a new fake tan that is as natural as possible, and Isle of Paradise ticks these boxes. However, for now I’ll be sticking to my usual tanning brand, though I’m sure I’ll be tempted to try this again when I have a bit more time to spend on it. 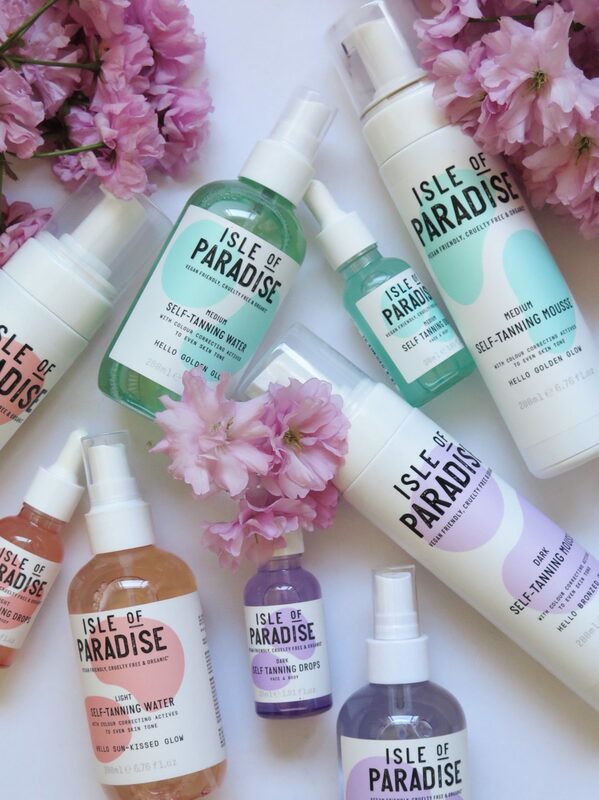 Have you tried Isle of Paradise? What did you think? If you have any tips or think I should try it again, please let me know. I had disastrous results with the tanning water! Similar to your review, the colour was great on me, one of the best I’ve tried but I failed at the application and had huge patches of untanned skin all over my body. This was partly my own fault, I definitely didn’t spend enough time making sure I’d covered everywhere but without a colour guide it is pretty difficult. Disappointed to hear the mousse didn’t impress either although the face drops sound good.